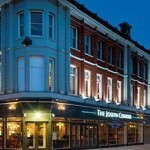 Joseph Conrad in Lowestoft has a beer garden. The pub has a car park, it serves food. Joseph Conrad serves real ale. The pub is a member of Cask Marque. Eagle Tavern in Lowestoft has a beer garden. The pub has an outside area, it has a dart board. Eagle Tavern has a pool table. The pub shows football on TV, it has terrestrial TV. 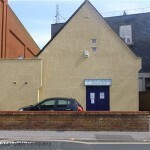 Lowestoft Telecom Sports & Social Club in Lowestoft has a function room that can be booked. 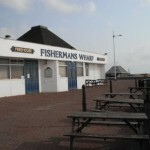 Why not sit back and relax whilst enjoying the majestic view in our fully licenced bar The Fisherman’s Wharf. 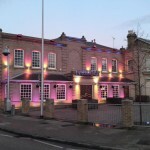 Established 15 years ago, combining a pub atmosphere, good food and a late night venue. Notleys is a relaxing bar by day and a busy, lively venue by night. 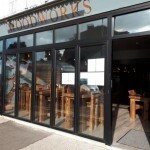 Hearts Of Oak in Lowestoft has an outside area. 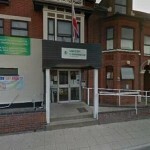 Volunteer in Lowestoft has an outside area. The pub shows football on TV, it has terrestrial TV. Welcome in Lowestoft has a beer garden. The pub has an outside area, it has a dart board. Welcome has live music events. The pub holds quiz nights, it has a big screen. Welcome shows football on TV. The pub has Sky Sports, it has terrestrial TV. Factory Arms in Lowestoft has a beer garden. The pub has an outside area, it has a dart board. Factory Arms holds Poker Nights. The pub has a pool table, it holds quiz nights. Factory Arms has a big screen. The pub shows football on TV, it has Sky Sports. Factory Arms has terrestrial TV.